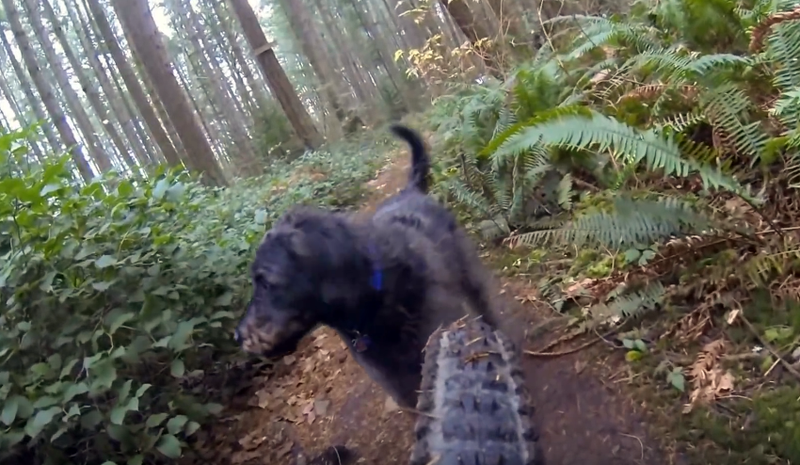 This Labradoodle, Ari, is on top of the world, holding tight to the back wheel of this mountain bike. He’s out for a trail ride in the Northeast Woods, Vancouver Island, BC. Canada. Watch as he disappears from the back wheel to check out the perimeter, and bounces back again right in line. Biking With Dogs.